You’re doing everything you’re supposed to, but another agent in town always seems to get more listings than you. What are they doing that you’re not? This is a question I hear all the time when I sit down with new real estate clients, and the difference often comes down to Facebook targeting and what the other agent is doing with paid Facebook advertising. 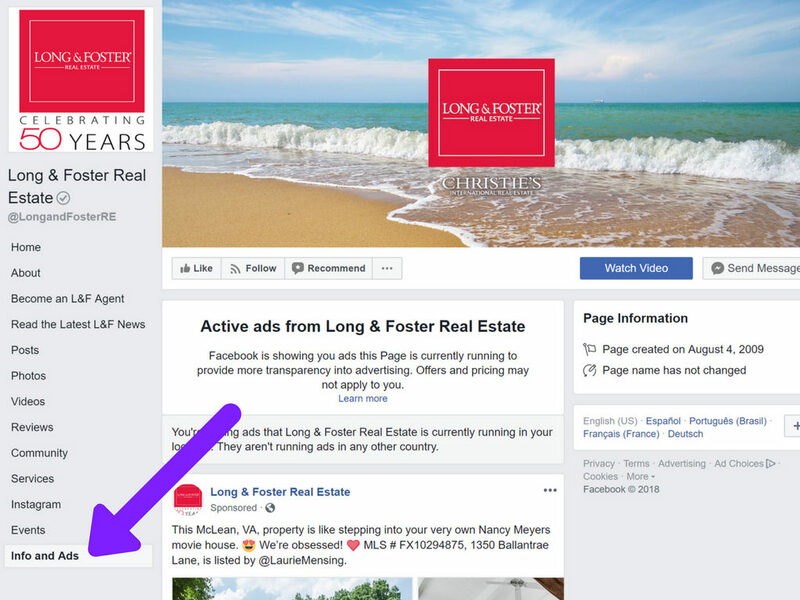 While you can always look at another real estate agent’s Facebook page to see what they’re posting, it’s not been possible to see any paid ads they’re running – until now. In response to demands for more transparency of Facebook pages and the ads they’re running, Facebook has added a new feature that allows users to see all the ads a page is currently running across Facebook, Instagram, Messenger and Audience Network, even if you’re not in their target audience. Seeing what types of ads your real estate competitors are running can help you bring your marketing game to the same level, and hopefully surpass their efforts. On desktop, simply click the “Info and Ads” button on the bottom left of the page. On mobile, click the little “i” on the bottom right of the page’s cover image. While this may sound like prying into another agent’s marketing secrets, it’s perfectly acceptable, and in actuality, doesn’t really show you too much of their inner workings. 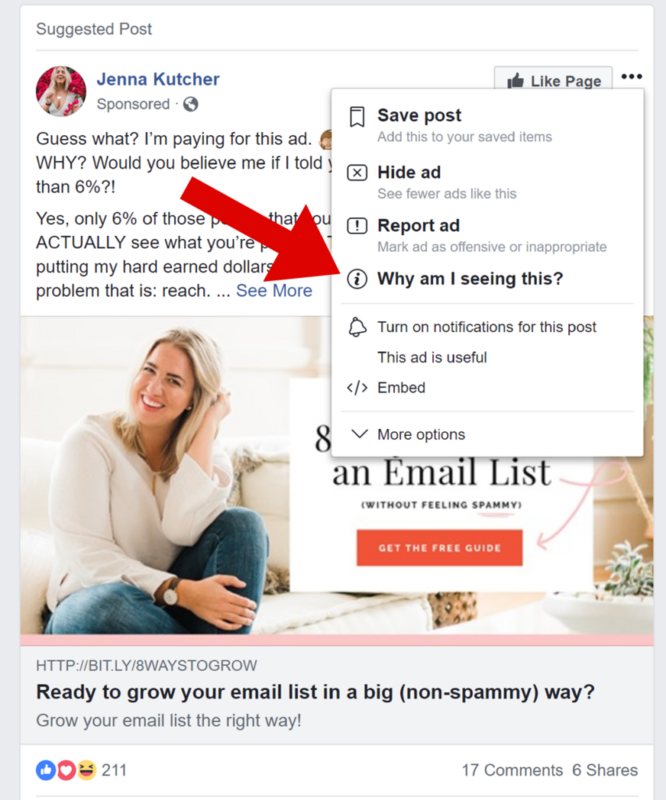 Although you can’t see a competitor’s specific Facebook targeting there is a simple trick you can use when you see an ad appear on your personal profile. When you see that telltale “sponsored” on a post, you know that it’s a paid ad. But why did it appear on your page? Why were you targeted? 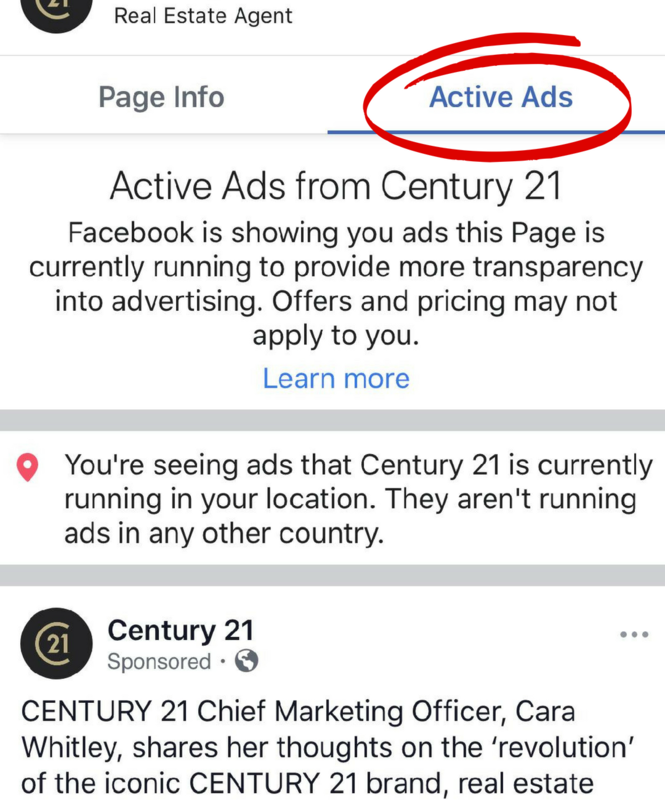 To see the Facebook targeting the business used for that ad, click on the three dots on the top right and then click on “Why am I seeing this?” Here you’ll get a bit of insight into that business’ strategy. While some may be more specific than others, it’s a great way to get ideas on how to target your ideal audience. Every real estate agent wants to showcase their latest listings, and while that will definitely make your clients happy, it should only be a small percentage of your paid Facebook posts. After all, strangers aren’t going to turn into leads simply because they saw one of your listings advertised on Facebook. They need the opportunity to get to know, like and trust you, and that takes time and consistency. Brand awareness ads – these are a great way for people to get to know who you are. Video is especially powerful, so create a video ad where you talk about something of local interest. Promote new blog posts – especially those that are more neighborhood specific like a calendar of community events, profiles of local schools, or a list of the top ice cream parlors or parks in the area. Lead magnet – offer something of value in exchange for an email address (think buyer’s guide or community calendar). This will help grow your database. Advertise an open house within the property’s zip code – this will draw local traffic. Again, do a quick video talking not just about the home’s features but what’s great about the neighborhood. A monthly market recap – direct people to a page on your website with data on recently sold homes in the area. Everyone likes to know what their neighbors are getting for their homes. 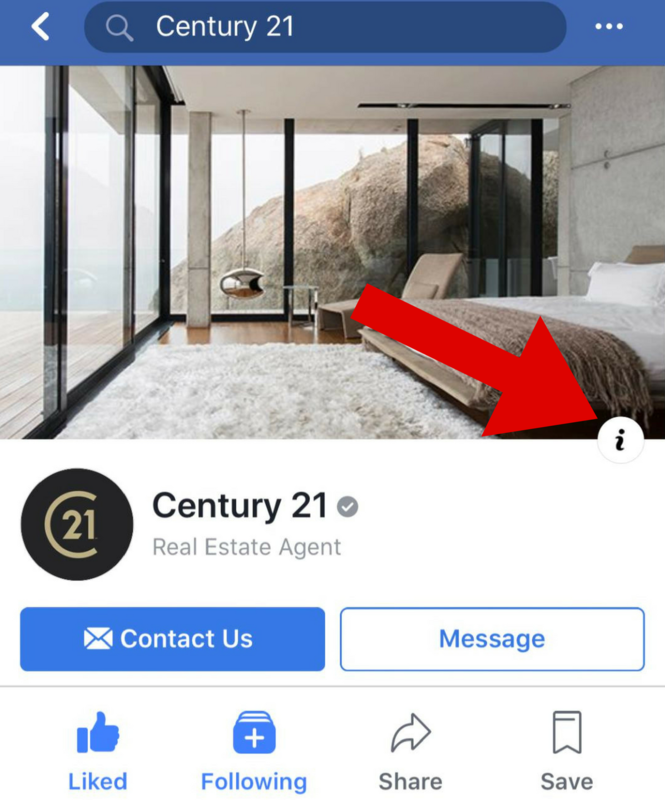 While you can’t see everything about another real estate agent’s paid Facebook campaigns, you can see how much effort they’re putting into them and that may explain why they’re getting more business than you. Learn from your competitors. 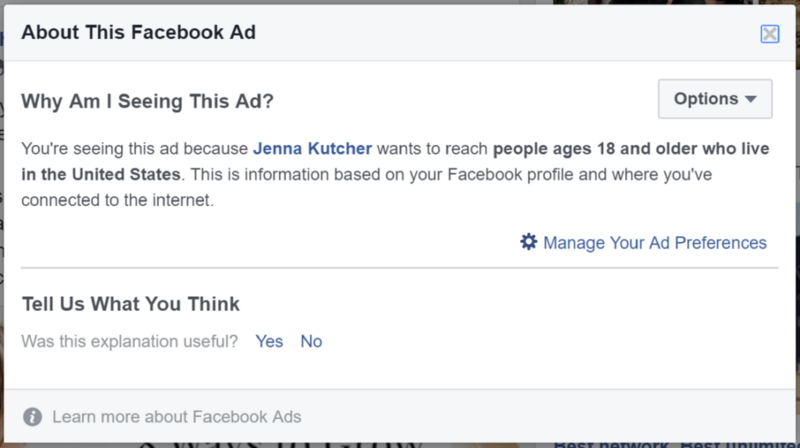 Look at what types of Facebook ads they’re running, and how much advertising they’re doing. If you’re not doing as much, it may be time to step it up. And if you’re not doing any Facebook advertising, you may as well hang it up, because you’re definitely going to be left behind. Seeing what your competitor is doing with Facebook advertising may give you some insight into their success. While it won’t tell you everything about their marketing plan, it will show you the types of ads they’re running and how many they’re running. It may provide insight into why their business is growing at a more rapid pace than yours. For a list of best practices for Facebook posts, please download our free PDF, 9 Facebook Tips for Real Estate Agents. And as always, if we can help you create a winning social media plan that will help you grow your real estate business, let us know! ← What Does Your Real Estate Marketing Tell People About You?